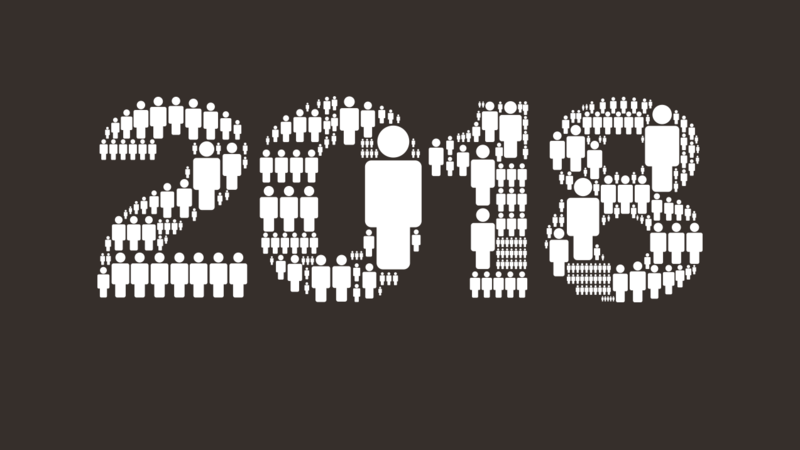 Following on from our Digital in 2018 breakfast briefing on 1st March, where Global Consultant Simon Kemp explored insights from our Digital in 2018 Report, our Senior Writer Ruaridh O'Donnell shares a round-up of the key trends for the year ahead. Last week, a whole host of clients, colleagues and industry professionals braved the elements to attend our Digital in 2018 breakfast briefing. As the Beast from the East raged on outside, it was our global consultant Simon Kemp who took the stage by storm - offering an array of insights into the ever-changing digital landscape we marketers currently find ourselves in. Of course, it wouldn’t have been a We Are Social event without a live stream. So if your train, bus or alarm clock wasn’t operating, you can catch up on everything you missed via Facebook Live. And if you want to take a more in-depth look at any of the material discussed, check out the full report here. The death of organic content? With Facebook’s News Feed algorithm dominating conversation at the moment, it was no surprise to learn that paid vs. organic reach was the first item on Simon’s agenda. 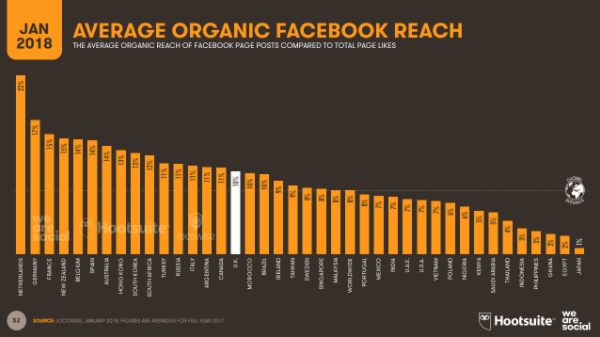 The amount of organic reach a post receives varies from country to country. Our data shows that content posted in the Netherlands is still likely to receive a healthy 22% of organic views. Yet in the UK, it’s down to around 10%. *please note, engagement rates cited in this graph include data from a range of pages including influencers, celebrities and brand pages of all sizes - which may augment the results for organic engagement above that of true regional averages for brand pages. What’s clear, is that organic reach is decreasing year-on-year across the board. This gives weight to the argument that paid media is now the only practical option for brands looking to make an impression on their audience. As demand for paid space intensifies, media prices are going to inflate. 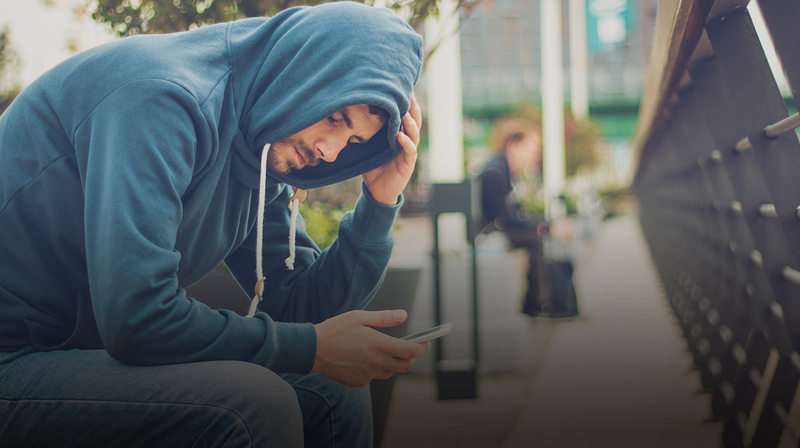 This represents a double blow for brands, as opportunities to connect with your audience become less frequent and more expensive. All we need to do is get smarter by making our budgets work harder. Facebook’s algorithms used to favour brands who posted every day. But now, the focus is shifting to higher quality, lower frequency content. According to Simon, this is the way forward. Save the money you would’ve used to make two or three posts, and instead, invest it in one. Reducing the number of posts frees up more budget for creative, production and promotion thereafter. 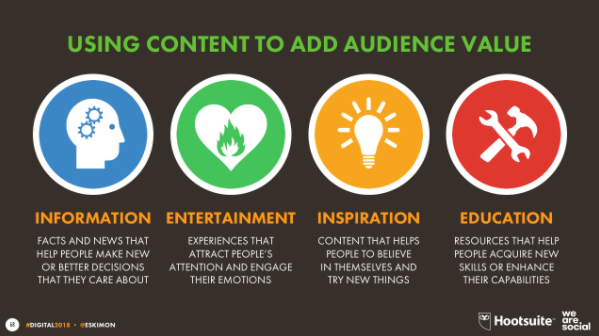 This well help brands create more compelling and meaningful content, which ultimately lands with greater impact. It’s not enough to just tell consumers how great your brand is. Marketers need to be creating content that adds value to their lives. As you can see from the following slide, there has to be a hook that people can resonate with. Rather than starting with your objectives, start with your audience. Find out what’s relevant to them and get to know their needs. 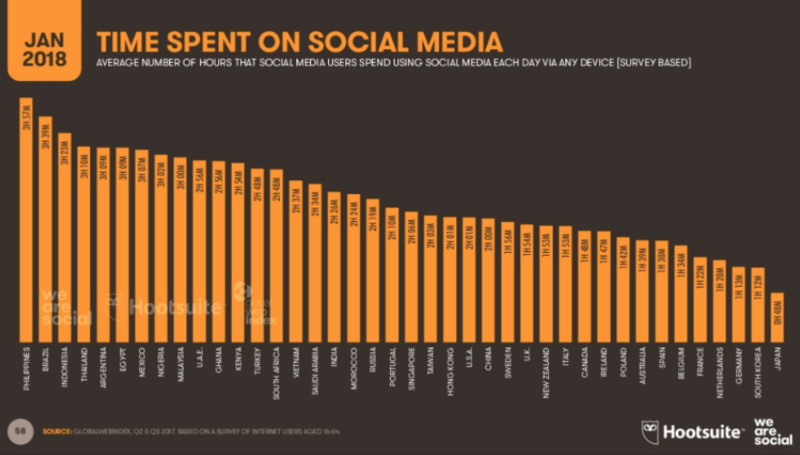 Well, internet users now spend an average of six hours a day online with two hours dedicated to social. It’s integrated into every aspect of our lives, which means there’s a massive amount that can be learned from listening to your audience. So before you launch your next marketing strategy, monitor your audience and find out what they’re really saying. Once you know what that is, it becomes a lot easier to create authentic content that captures their interest. Everyone associates influencers with reach. But according to Simon, the real value comes from their audience knowledge. 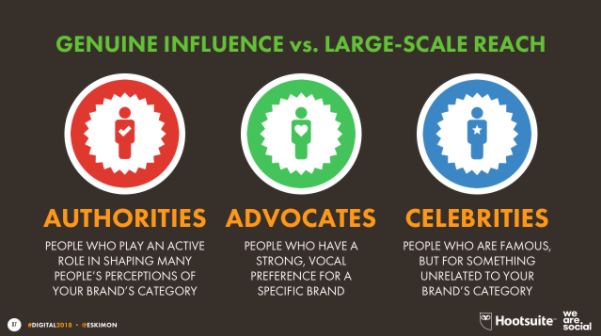 Influencers know what their followers really care about. And because of that, can help brands deliver content which really connects with the consumer. Brands often go for celebrities, because they have that mass appeal. But pursuing an influencer who has those valuable audience insights can be just as rewarding. Of course, there’s no one-size-fits all approach. So still go for celebrities when reach is the number one goal. But if you go for an authority or advocate, it’s more likely to result in the creation of relevant content that the audience will want to share. And in a post-organic world, that’s what it’s all about. Want to find out more? View our full Digital in 2018 report here.